Product #16378 | SKU BL-011 | 0.0 (no ratings yet) Thanks for your rating! 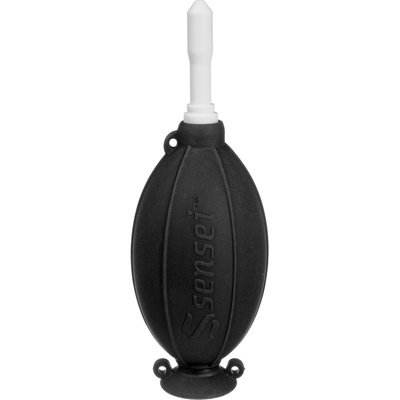 The large black Bulb Air-Blower from Sensei is a silicone blower used to remove dust and dirt particles. The hard ABS plastic nozzle directs a stream of air exactly where you want it to go. This blower even works with particles that stick due to static electricity. The bulb contains no harmful chemicals making it environmentally friendly. The air inlet is designed to prevent air from backing up into the nozzle, clogging it with dirt. The nozzle is detachable and the base features a suction cup that makes the unit freestanding. In addition, there are two built-in eyelets on the base of the bulb that can be used to attach the blower to a strap. You clean the blower with water and allow it to air dry.